Grab the attention of the potential partners and sponsors with your brand logo at sports and athletics events by ordering our extensive collection of Custom Athletics Apparel. 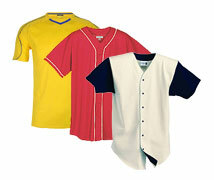 Motivate your team members and build up team spirit with our custom high school sports apparel. Spectators, athletes, and sponsors would be delighted to receive these Custom Athletics Apparel emblazoned with the team and sponsor logos on them. For intriguing the interest of your target audience and potential patrons, our Custom Athletics Apparel will work like magic! 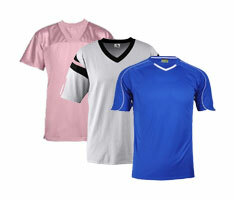 Since everyone loves receiving good custom performance shirts, they should be the ideal option to go for promoting your sporting tournaments. Our high quality screen printed will simply turn your brand and event logo into walking billboards. 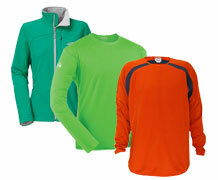 You can choose from our varied collection of performance shirts, ladies and juniors, warm ups and jackets, football, baseball, softball, and soccer teamwear and jerseys. So, highlight your sports team name, sponsor names, annual events, and charitable sports causes with our Custom Athletics Apparel. Get your promotional message out in style! For athletic events and sports tournaments at schools, consider ordering from our varied collection of custom high school sports apparel. Our rich and extensive Custom Athletics Apparel include comfortable shirts from Alternative, Adidas, Jerzees, Gildan, A4, Alo Sport, Russell, Champion, Hanes, Bella, New Balance, Devon & James, Anvil, American Apparel, Dickies, Fruit of the Loom and Team 365. Simply adapt your team logo, sponsor message, or sports campaign motto in these custom performance shirts to stay in the minds of the teams, spectators, partners, and sponsors. 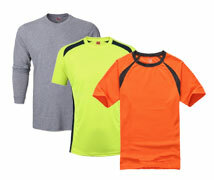 Our custom fitness apparel will build equity and event recognition successfully outfitting your recipients. 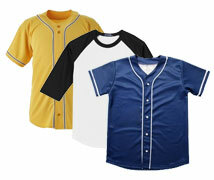 Giveaway our Custom Athletics Apparel at events to get your team name be noticed by numerous attendees and spectators. 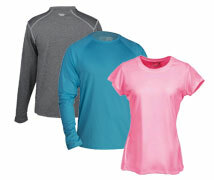 We offer custom fitness apparel at budget-friendly prices so that you can order in bulk for teams, partners, and sponsors. Let these popular casual apparels be the secret to resolving your promotional dilemmas! 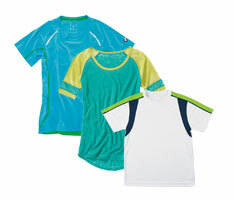 Get your statements be noticed by team members, and participants who will appreciate receiving these fashion giveaways.